Hmm, I guess some people are surprised that I like certain movies even though they have violence in them, even though in general I don't like violence. That's really based on a misconception though. A few times I've declined to watch horror movies or movies with lots of violence because I simplify my reasoning as "I don't want to watch violence," but it's not the violence that's really the issue. Being later confronted with BUT THAT DOESN'T MAKE SENSE WHY IS X ONE OF YOUR FAVORITE MOVIES IT HAS VIOOOOOLENCE is frustrating because "it is violent" doesn't automatically make me hate or avoid a piece of media. I don't like GRATUITOUS violence or unnecessary depictions of human suffering. I don't enjoy that. I don't want to watch or read something where the violence is front and center and considered part of the enjoyment. I don't want to watch something that has a lot of side violence that is utterly unnecessary. I haven't expressed that I am utterly incapable of enjoying something that contains violence or suffering. It just has to not be what other people feel makes the movie good. 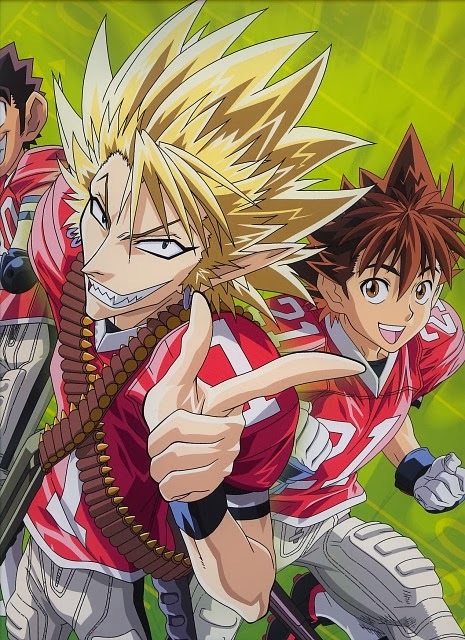 Another funny thing is that I am not into football, but my favorite anime is about football. And also, I don't like spicy food and can't even handle super mild spice, but I like horseradish.